Dream Pod 9: Commander Token and Status Token Packs are Available Now! We got the laser etched and cut acrylic Northern Commander Tokens, Southern Commander Tokens, CEF Commander Tokens, Caprice Commander Tokens Packs, and Heavy Gear Blitz Status Tokens Packs back from Impudent Mortal last week. Plus some new 60mm and 75mm Round MDF Bases to use for basing larger models, we had them prepare for us as well. Wetook photos and updated the Pledge Manager with them and have made them available on the Dream Pod 9 Online Store. 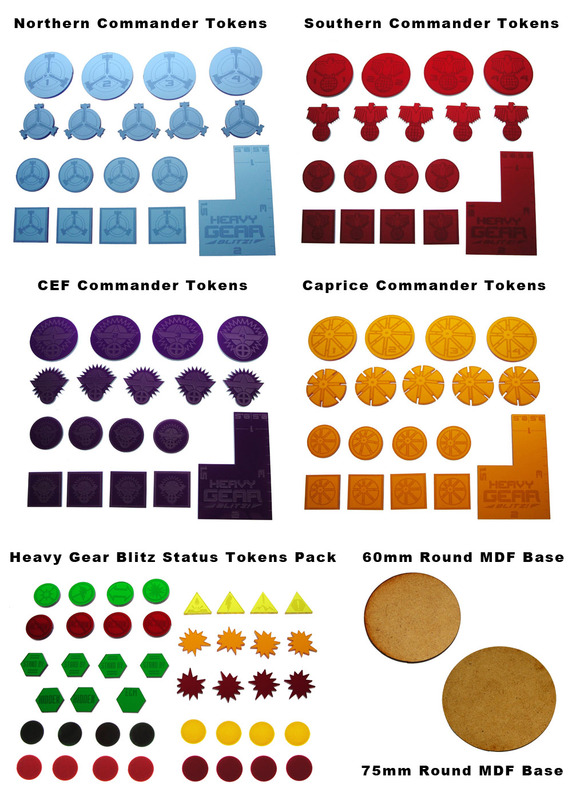 Home › Blogs › Robert Dubois's blog › Commander Token and Status Token Packs are Available Now!